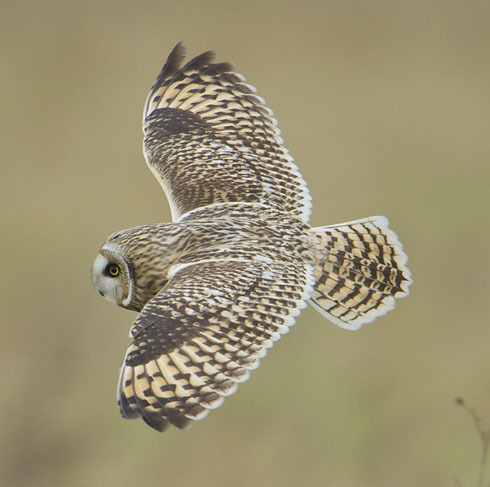 We usually think of owls as hunters of the night, and this is certainly true of most members of the family. 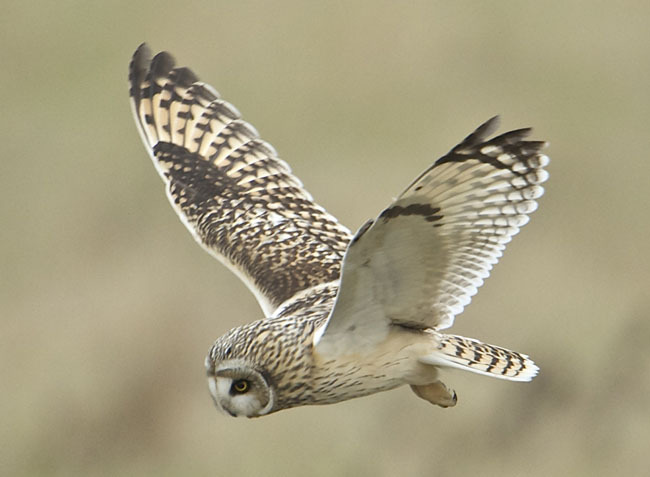 However, there are exceptions and the short-eared owl is one. It prefers to hunt its prey – predominantly voles, but also other small mammals – in daylight. The plumage of this bird is heavily streaked in pale yellow-brown or buff-white, and may look almost white in some lights. There are distinct black patches around the yellow eyes, giving it rather a fierce expression. The wings are long. As it quarters its hunting territory, the flight is graceful and buoyant, interrupted by short glides and pauses. 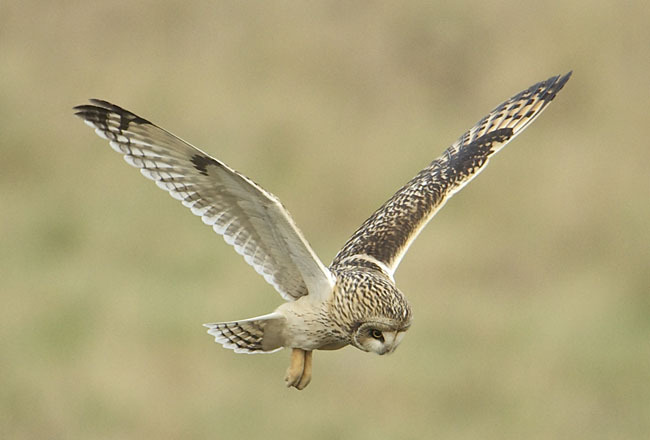 It is a bird of the upland moors of the north and west, where its nest is a scrape on the ground. However, in winter, it migrates south, and may be seen anywhere in marshy areas, such as on the coasts or low lying wet areas inland (Otmoor, to the east of Oxford is a good place to look for it). Our native birds are sometimes joined by continental owls seeking a milder winter climate. This entry was posted on Friday, February 3rd, 2012 at 12:08 pm	and is filed under News. You can follow any responses to this entry through the RSS 2.0 feed. You can leave a response, or trackback from your own site.